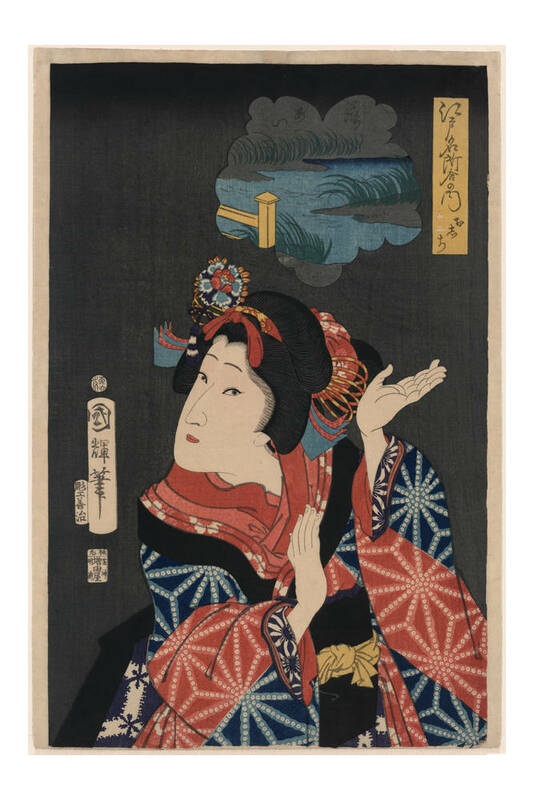 Revel in the beauty of Utagawa's "The Young Maiden Oshichi" from 1867. 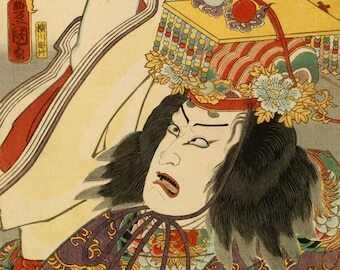 This Ukiyo-e print features the likeness of Yaoya Oshichi (1666–83) who met her tragic fate after falling in love. 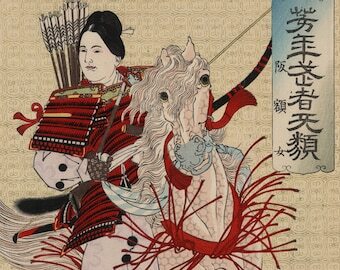 Oshichi’s story is recounted in Kabuki theater dramas, where her character is portrayed in a kimono bearing the distinctive starburst-like design associated with her.